>> Information on our SEO service here. We have a number of SEO packages available to suit any budget starting form just £30 per month. We also provide a once off SEO check and website update. This can cost as little as £100 per website. • Detailed site performance reports monthly. We will also give you access to our Google analytics so you can see exactly what is going on. >> Information on website hosting here. Web site hosting from £70 per year. Our website hosting is ideal for small and medium sized business. We monitor our servers to ensure uptime is optimal. Our web servers are managed in a Cardiff web hosting data centre. We want to help Welsh businesses grow. If you are a start up company or employ less than 3 employees we will host your website for just £50 per year. Offer available to all UK companies. >> Information on website design here. We provide all aspects of website design and website development. This includes consultancy. 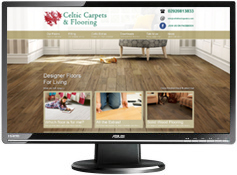 Prices start from £200 per site, E-commerce from £450. • We can provide everything you need from consultancy, website design, website development, website hosting, website SEO and marketing, print and promotional materials, ongoing support and training. Full range of design and print services available. Most print work can be delivered to you within 48 hours of receiving or sign off of your artwork. Each year webdesignerwales.co.uk helps up to 10 charities by designing and developing free websites. Other charity work is discounted to cost price. Let us help you. Give us a call or email for details. Online training materials for schools and colleges. Are you a school or college who needs some online interactive training material developed? Is your company missing out on social media? These days FaceBook and Twitter are household names. Millions of people turn to these sites daily. Is your company making the most of the opportunities available? Webdesignerwales can help you setup and manage a FaceBook campaign. Make effective use of Twitter and other social networking technologies. Don’t miss out - call or email us today for more information. We are more than just design and print. We integrate, we evolve, we create. With a team of experienced programmers in languages such as VB, VB .net, C#, Director Lingo we not only create great website but also we develop software for your PC or backend systems. We have developed tills, booking systems, job management databases and many other systems. Let us help you to work more efficiently by utilising the knowledge we have in technology. and optimised for their devices. Featured mobile website design project currently in development. from a chain of Japanese restaurants and re-order past orders for home delivery. WebDesignerWales now offers Wordpress advice to business in Wales. Do you need help and/or advice on maintaining your Wordpress site then we can help, even if we didn’t setup the site for you.